As I type, with the blinds closed, lights off, and A/C blasting, a deadly heatwave is baking the paint off my car in the parking lot. With record heat and prolonged drought as a backdrop, I determined xeriscaping to be a good topic for this blog post. Whether you live in the desert or in greener parts, much of the US is experiencing drought conditions. Xeriscaping is a great way to conserve water, save time, and update the appearance of your home. 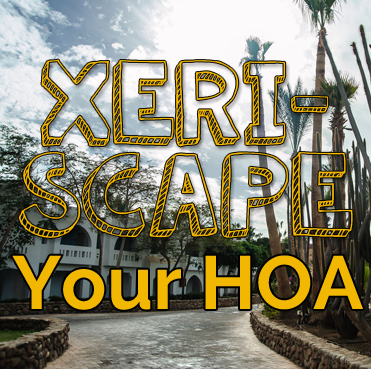 Let’s take a closer look at what xeriscaping is, what the benefits are, and some things to keep in mind when it comes to your HOA.